Hey everyone, Tanner Bell here. Hope you're doing well, today on the blog I have a super fun DIY video tutorial for you using the NEW Always Ready Tacky Glue. You're going to love how easy these new glues are. Let's jump right into it! I hope you enjoyed! 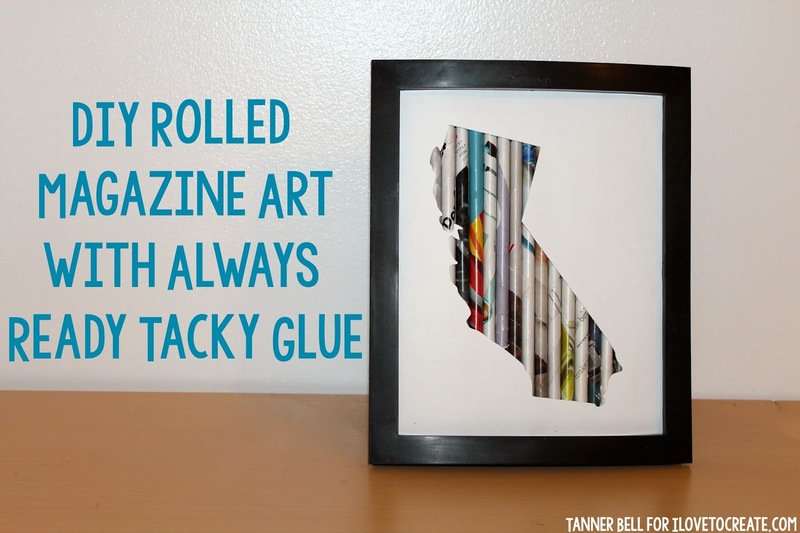 It is really a DIY project that is super easy to make with the Always Ready Tacky Glue. You can totally whip this project up under a hour. I would love to see what else you create with rolled magazines! Possibilities are endless.